Violins are not allowed in maximum-security prisons. Auburn Correctional Facility had generously permitted us to use an electric keyboard during our music theory and appreciation course, but a violin was out of the question. Stuart Paul Duncan, the course instructor, played what he could on 44 keys. As his teaching assistants, Claire and I tried to describe what different instruments looked like. We brought in photographs. Our students—17 male inmates—were starved for culture, communication, social interaction, and creative expression of any kind. They understood that they brought this harsh, dehumanized reality upon themselves, committing the horrendous acts that lead to incarceration. Yet in the classroom, these men transformed. They were no longer nameless criminals, demonized murderers, or monstrous outcasts, but fellow human beings who cared about art, education, and each other. In three short months, my students had progressed beyond my wildest dreams. Shane was learning to write down his own compositions. Gherald could notate the rhythms he created for his rap songs. Josh could perform the phasing part of Steve Reich’s Clapping Music by himself while the rest of the class sustained the repeated pattern. Christopher understood the difference between melodic, harmonic, and natural minor and could write scales in any key. As we listened to recordings on the prison’s small boombox, Williamson could identify motifs as they recurred and transformed. Others were still learning how many eighth notes make a quarter note and on which side of the note head they were supposed to draw the stem. Each student was at a different level, yet everyone wanted to learn as much as possible. The diversity of educational needs coupled with the students’ insatiable hunger for knowledge enlivened the classroom to an electrifying degree. Some of my students were able to practice between classes. Clean behavioral records inside prison walls granted certain privileges, including access to the prison’s electric keyboards, a makeshift gym where anything that could be lifted served as weights, and typewriters. Being enrolled in the Cornell Prison Education Program was an enormous honor that the inmates cherished. One mistake would expel a prisoner from the program for five years. Men gave up their meals and recreational time in order to attend classes. Most students took full course loads. The remaining hours of their days were spent working in Auburn’s license plate factory, bringing in revenue for the correctional facility. In the evenings, if my students were not in class, they would do their homework in their cells, trying to block out the noise of their fellow inmates. Prison life is harsh and unpredictable. I remember one class when three of my students were absent. We were worried: absence is impossible when a guard escorts you to and from the classroom. Those who were present told us that an inmate in Cell Block A had figured out how to steal a wireless connection. Until the guards found the culprit, the entire cell block was being punished with solitary confinement. Those three students still somehow managed to turn in their homework, passing along their booklets to students who lived in cells on the other side of the facility. I do not know how this happened. Our students were devoted to us, to each other, and to the pursuit of learning music. And we were devoted to them. We desperately wanted to give them a real musical experience: a live performance. How could we do this in a prison? 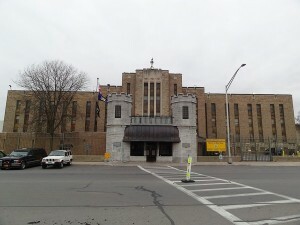 There had not been a live concert at Auburn Correctional Facility in ten years. Stuart wanted violinist Joseph Lin to perform Bach’s Sonatas and Partitas for the class. At the time, Joseph Lin was a professor at Cornell. A year later, he became the first violinist of the Juilliard String Quartet. Professor Lin was eager and curious to enter the prison walls, to share his artistry with men who had never been exposed to live classical music. The only hurdle was gaining permission from the Auburn Correctional Facility itself. There was great concern among the prison administration that the violin was a dangerous instrument. The strings could be turned into a weapon. A knife or other harmful object could be hidden in the wooden violin body. Officers in the prison administration asked if Professor Lin would mind taking his violin apart, bringing it into the prison in pieces, and assembling it once he was inside. This way they could ensure there was nothing concealed within the instrument. Could he possibly use thinner strings, ones that would prove less harmful if they ended up in the wrong hands? Emails and phone calls went back and forth for months as Stuart and the former head of Cornell’s Prison Education Program, James Schechter, argued that the violin had to enter (and exit) the prison intact. Even once permission was granted, we did not tell our students that Professor Lin was coming. We were afraid that there could be last minute objections at security. When we finally did arrive with Joseph, our students were shocked and thrilled, almost ecstatic. They could not believe that they were about to hear live music. As the first G minor chord sounded on Joseph’s violin and the melody floated gently downwards, a somber stillness filled the room. No one moved or seemed to breathe. My students were mesmerized. They could tell immediately that Joseph Lin is a fantastic musician, a truly talented artist. His performance of Bach’s Sonata No. 1 for solo violin, given to a small room of incarcerated men, was unlike any concert I have ever experienced. The men were completely enraptured. I believe that my students heard every single note that Lin played. They watched each individual bow stroke. They stared at Joseph’s face, full of concentration and passion. Little by little, the inmates swayed in their seats, mirroring the way Joseph’s body naturally moved with the music. It was as if the music held some secret answer and if they listened hard enough, they would understand. These men took in everything. Nothing seemed to escape their notice. As Bach’s sonata resonated through the air, I could feel emotions rising. The intensity and passion of Bach’s music permeated the environment. It was as if the sound emanating from Joseph’s violin filled every single particle of the space. It touched every human being in that room. I looked around. Some of the men had their eyes closed and were breathing deeply. Others had their eyes wide open, staring at Lin with shock and admiration. Some were silently crying, wiping away tears while they listened. They were not self-conscious. They were present, alive, and alert. As I listened, I understood. Art is powerful when it makes us feel alive. Music enables us to transcend time and space, unlock memories, leap over the edge, remap the universe. In that moment, all of us were so far away from prison. We entered another world. Yet we knew, acutely, that we were behind bars. We felt freedom in the midst of incarceration. I felt that sense of liberty too, even though I could never fully understand the realities of prison. In that moment, I experienced the yearning for life and freedom because it was so powerfully present in the people beside me. Listening to music allowed these men to explore feelings that are constantly suppressed in the prison environment. Those of us who live at liberty in society understand this feeling too, even though our life circumstances differ drastically from those who are incarcerated. Music is healing and freeing. Watching Joseph Lin express himself through music inspired the men to turn inward. The intimacy and direct access between performer and audience created an emotional dialogue, a sacred space dedicated to internal reflection. My students had a lot of questions for Joseph Lin. Gherald, always outspoken and confident, spoke first. He said, “It seems like you’ve done this before.” I was about to laugh when I realized this was not a joke. Gherald genuinely wanted to know if this was Professor Lin’s first time playing the Sonata in G minor. Lin explained that he had been practicing and performing the work for years. More questions followed. Is the piece the same or different each time you play it? Why do you keep playing this particular piece over and over again? What is practicing like? Why did you decide to play the violin? Are you going to keep playing the violin? When are you coming back to Auburn? Professor Lin paused. I wondered if he was as startled by this question as I was. Immediately, I began to imagine what it would be like to compose a piece inspired by subtle changes in facial expression. How do our facial expressions reveal our thoughts, our musicality, our connections to the internal and external world? While additional movements made by performers, either in the face or body, help them interpret the music, how do sympathetic movements in listeners help them process what they hear? A whole line of questioning opened. Williamson’s observation was thought-provoking and intelligent, yet it was also naïve and childlike. This was the astounding contradiction of prison life. Here were grown men who had experienced horrors beyond imagination, who had made devastating choices and had suffered the consequences. Yet most of these men had been in prison since their late teens or early twenties. In a way, they were still like children who had seen nothing of the world. Their only mature experiences had taken place behind prison walls. All of this was evident in Williamson’s comment. People accustomed to seeing live music know that musicians’ faces and bodies move during performance. We take it for granted as an indication of self-expression. The visual signs of emoting or communicating were foreign to this man. As I looked around the room, I saw the tension between experience and innocence, intelligence and childlike intuition, strength and vulnerability. This is the very tension that makes art: the struggle between mind and heart, logic and passion. Composing requires a constant dialogue: intuition, improvisation, and accidents guide certain musical choices while formal planning, theoretical knowledge, and practical constraints inform others. When I write, I try to evoke my inner child, to let my imagination run wild. Yet I also try to control her with conceptually and rationally defined principles. That day in the prison’s music class, I learned an important lesson about my own compositional process and the power of art. The stark reality of incarceration illuminated my creative world in a way that I could never have anticipated. Artistic expression is an enactment of freedom. This is a maxim that we learn about, that we know and say we comprehend. When I witnessed men who were not free transform, attaining a sense of liberty through their contact with music, I understood it in a new way.